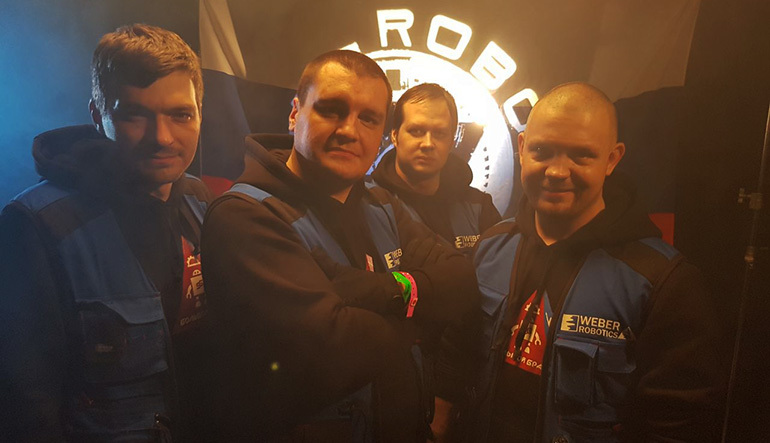 A team of professionals and robotics enthusiasts, friends who together are defending the honor of Russian combat robots. 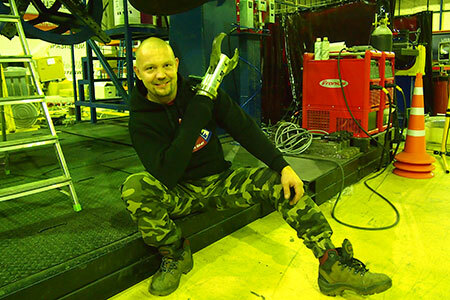 Dolph, the first experience of the team in combat robot creation. 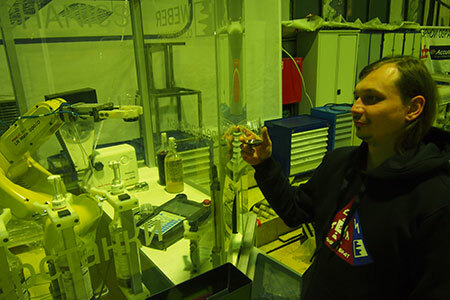 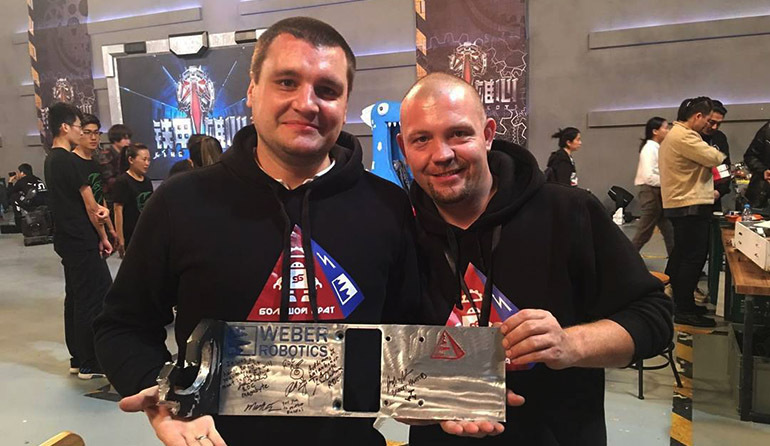 Despite the primitive design and low power, the right design solutions allowed the robot to win the first Russian Championship Bronebot 2015. 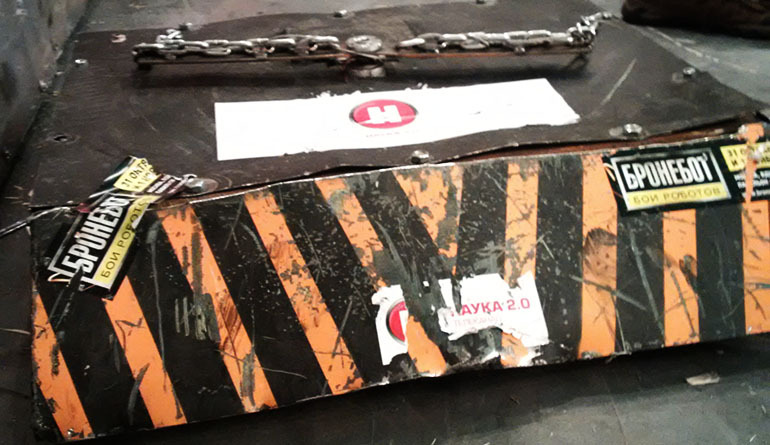 4 batteries of 24 v each. 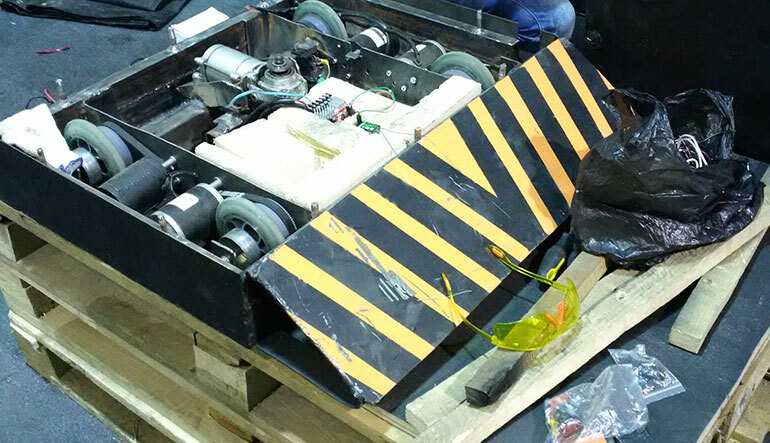 The second robot, created by the team, to participate in the Bronebot 2015, had impenetrable armor, but because of heavy protection is slow. 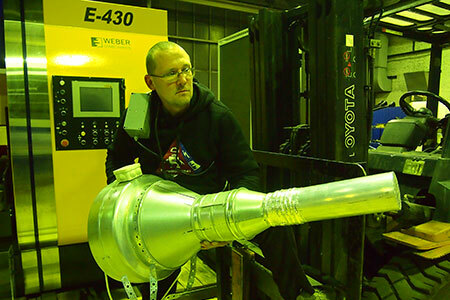 The main weapon is a shock pneumatic mechanism. 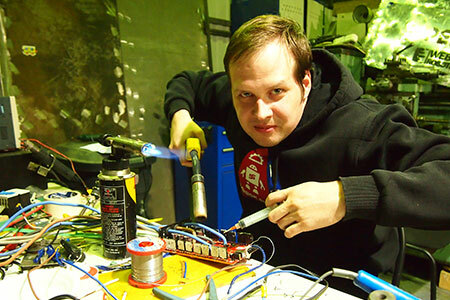 Improved reincarnation of the first Dolph. 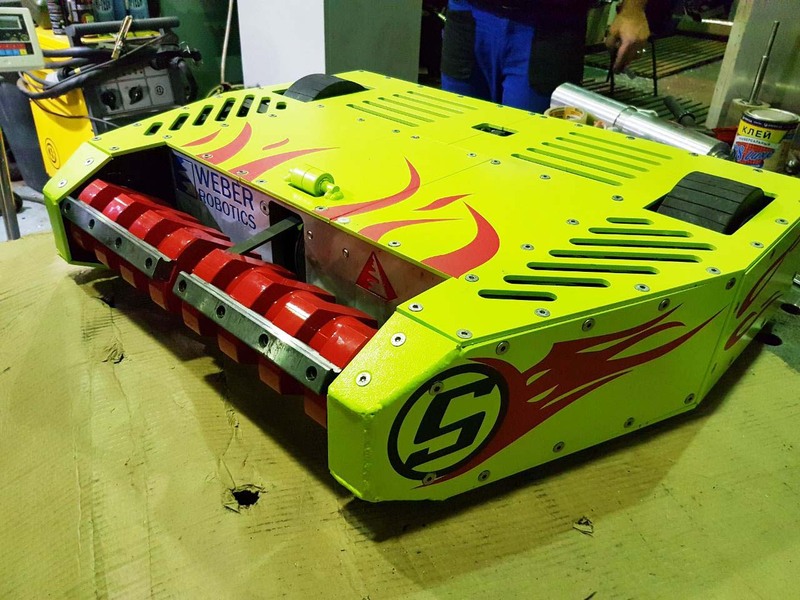 Absolutely new robot class flipper, the first team experience in creating a robot with a pneumatic system for CO2. 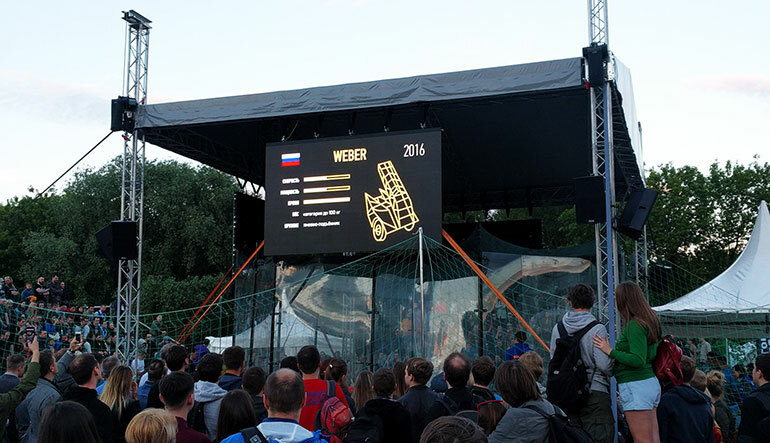 The robot took 3rd place in the Bronebot 2016 games, proving the principled correctness of the ideas and served as a kind of technical demonstrator, the experience of which allowed the team to make a new classic flipper called Weber. 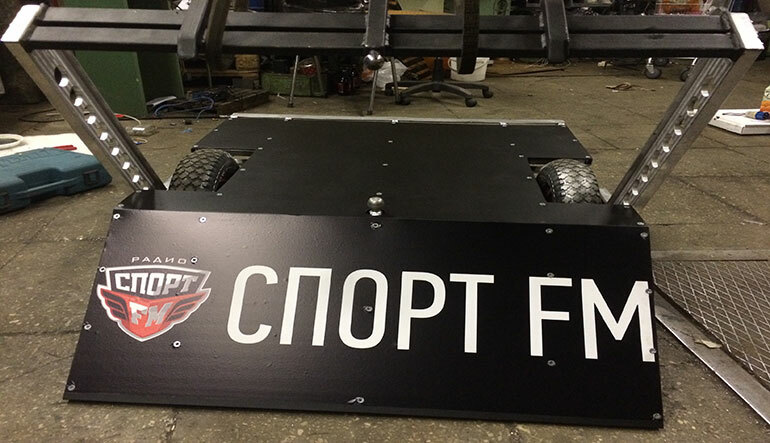 The fourth team robot, which was made in parallel with the robot Dolph 2, to participate in the competition Bronebot 2016. 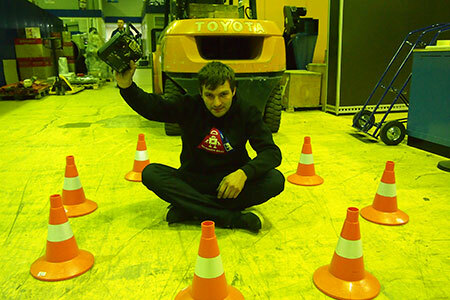 The winner of these games. 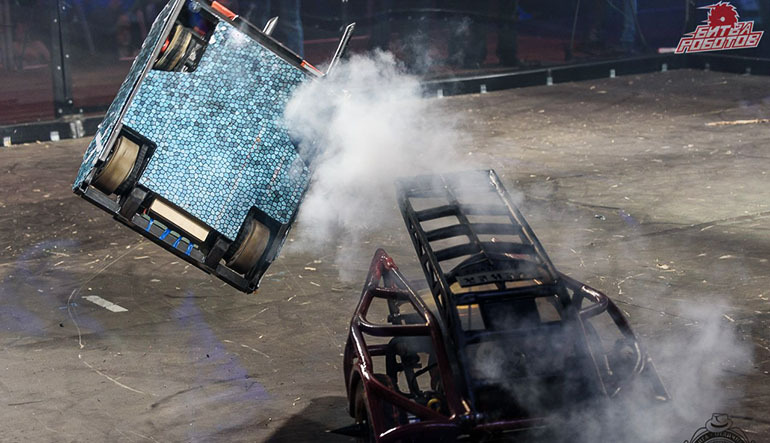 The robot has a unique weapon capable of working 360 degrees. 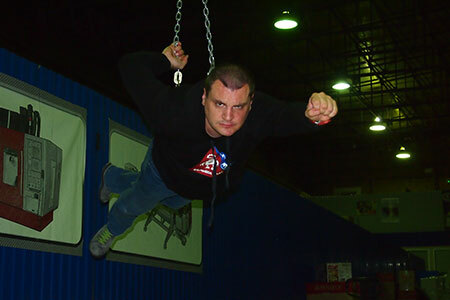 He is also completely symmetrical and not afraid of upheavals, as he can function and fight, even in an inverted state. 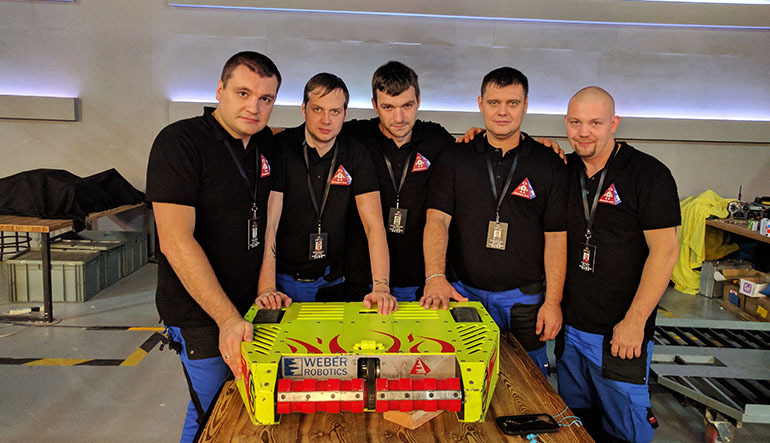 The teams favorite robot, the only and the first of the Russian robots, honored to represent Russia at international games RobotWars in England in 2017. 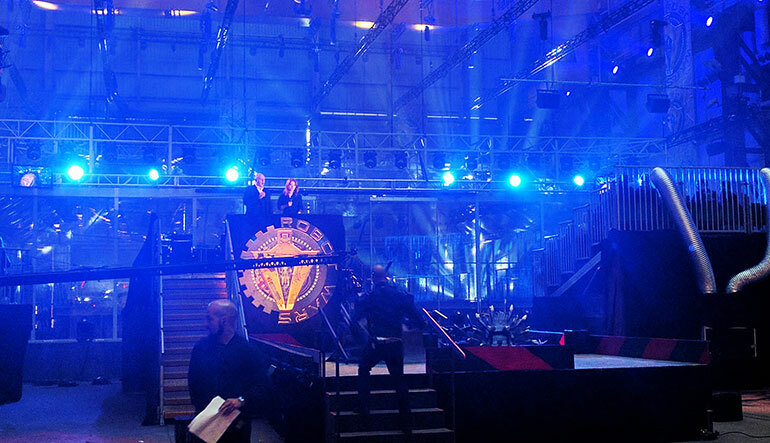 The season of the show with his participation will be released in the Oct this year and will be broadcasted by BBC UK. 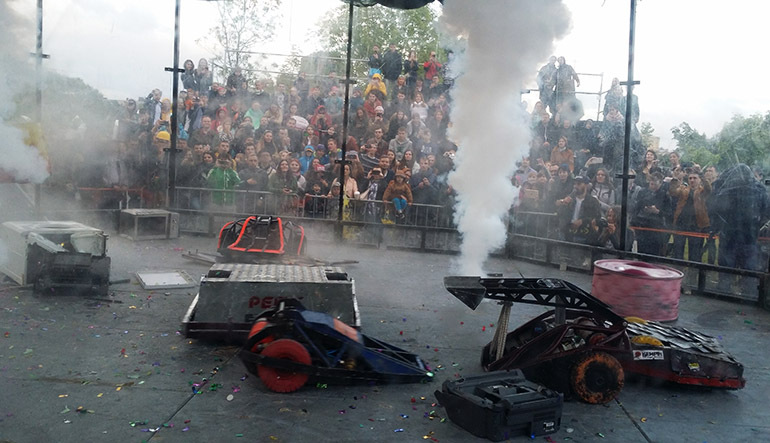 Robot also is a participant and prize-winner of fights in Perm (second place), as well as a winner of battles at the games organized in the framework of the festival GeekPicknic2017. 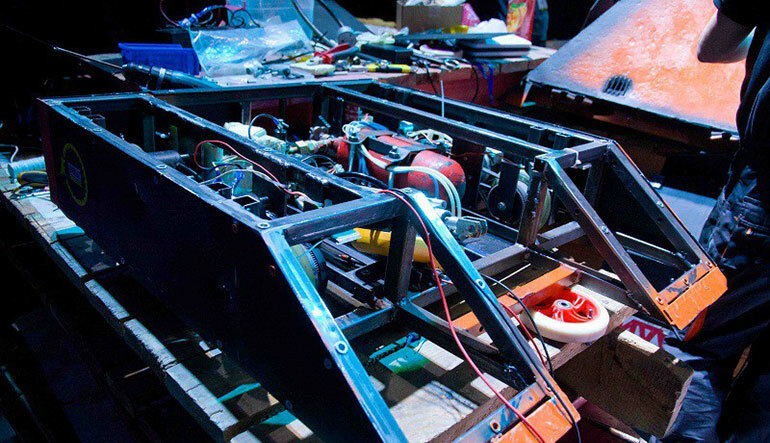 Robot Stingrey, the team's first experience in building a drum-type spinner robot. 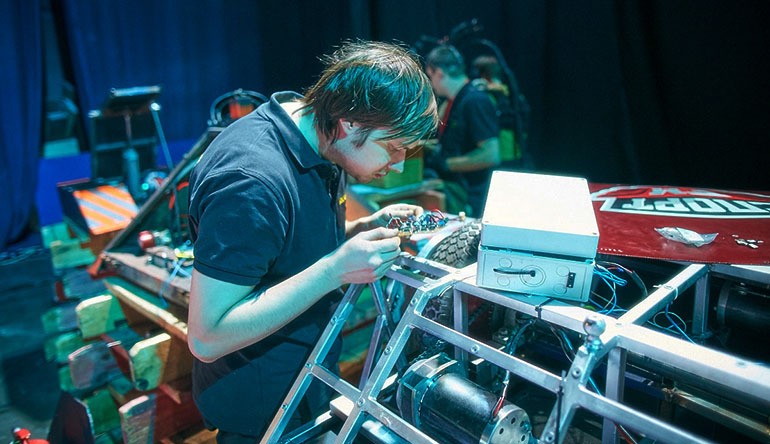 The robot is equipped with two drive motors 650 W each and one for 800W responsible for drum rotation. 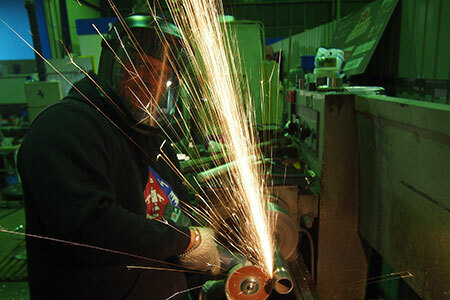 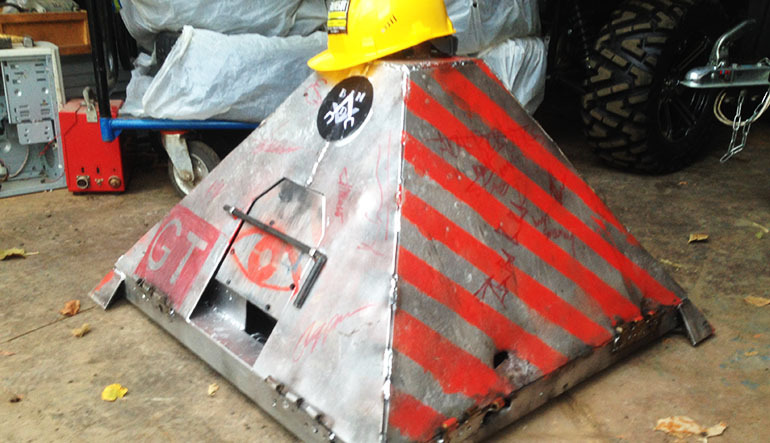 The robot has an internal aluminium frame and is covered with a 6 mm protective cover made of Hardox steel. 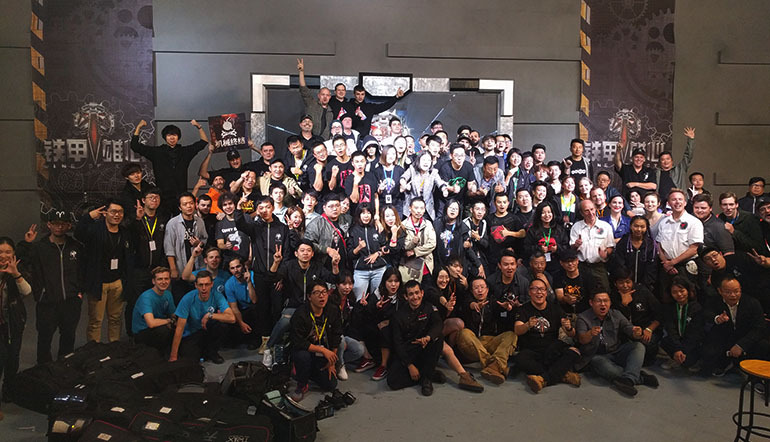 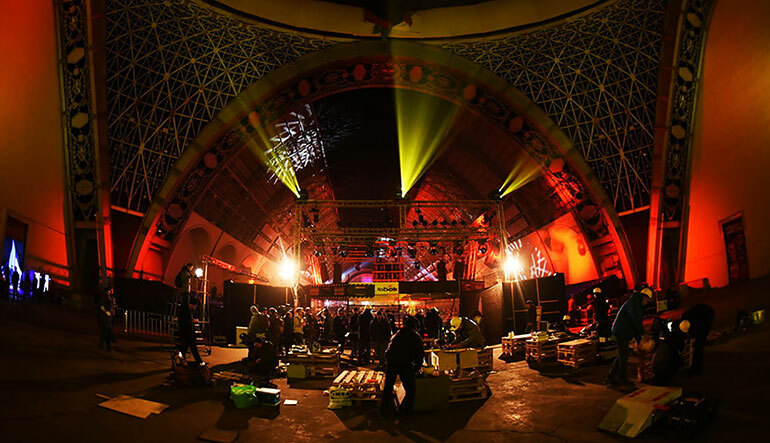 The first tournament in China, which gathered the best teams from all around the world, including the stars of the RobotWars league (England) and Battlebots (USA). 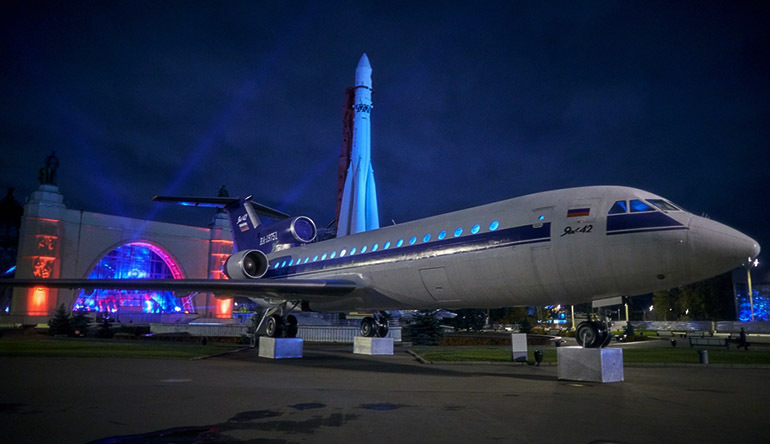 Russia was represented by our team. 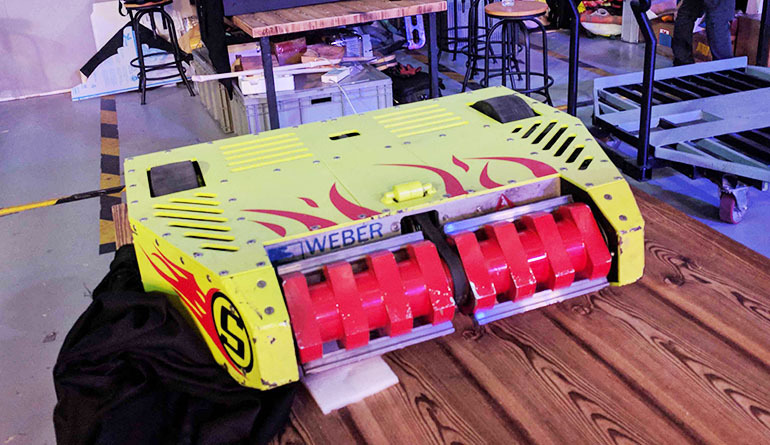 In the draw, we got a very strong opponent, a multiple champion and a member of the Battlebot league, the Megabyte robot (we lost but ready for a revenge). 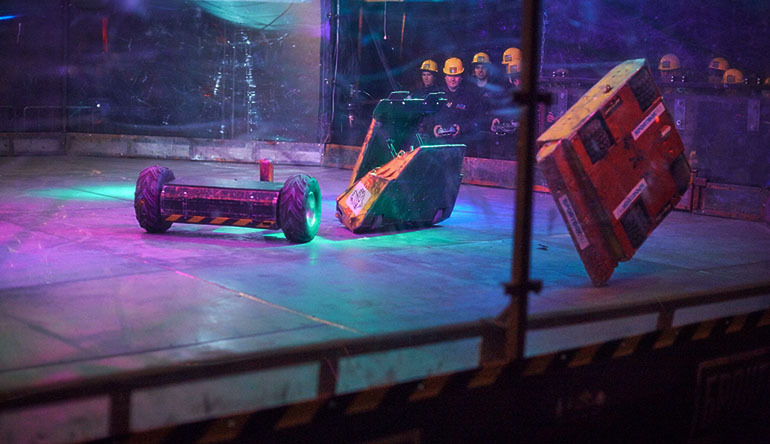 KOB is absolutely marvellous league with surprisingly high level of the local robots, so we are very keen to return back in 2018. 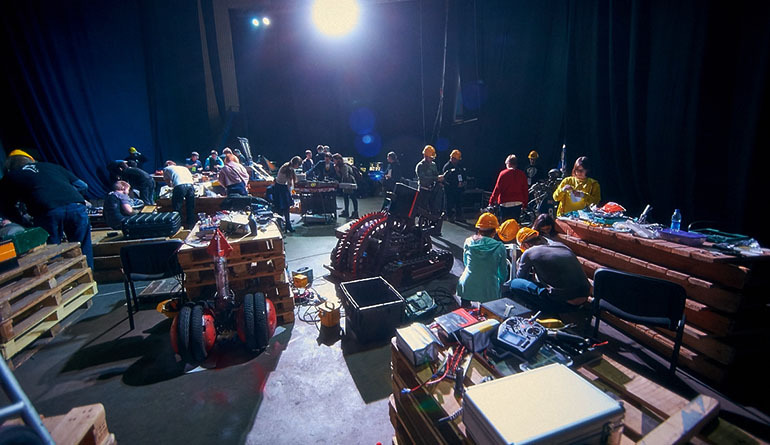 One of the most important achievements of our team was a participation in the legendary show Robot Wars in England, the broadcast of the BBC channel with our participation is planned for this autumn. 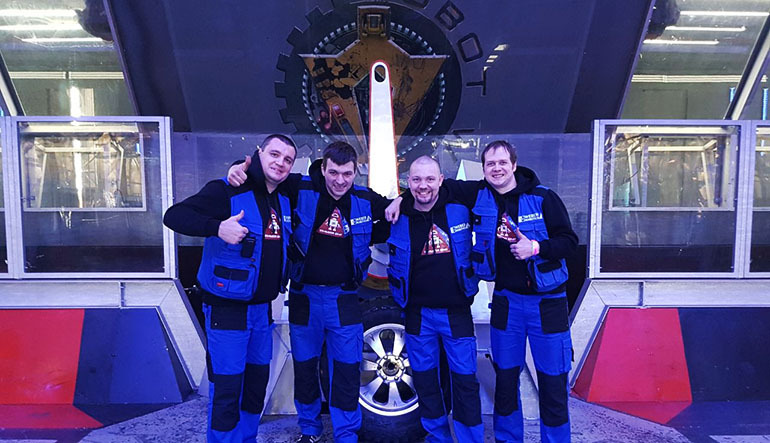 We are the first team from Russia, for the whole history of the existence of RobotWars which took part in this cult show. 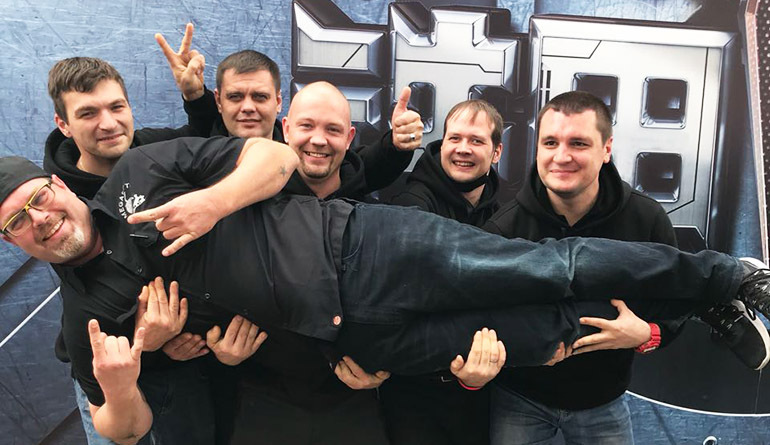 For us as a team it was how to get into a children's fairy tale. 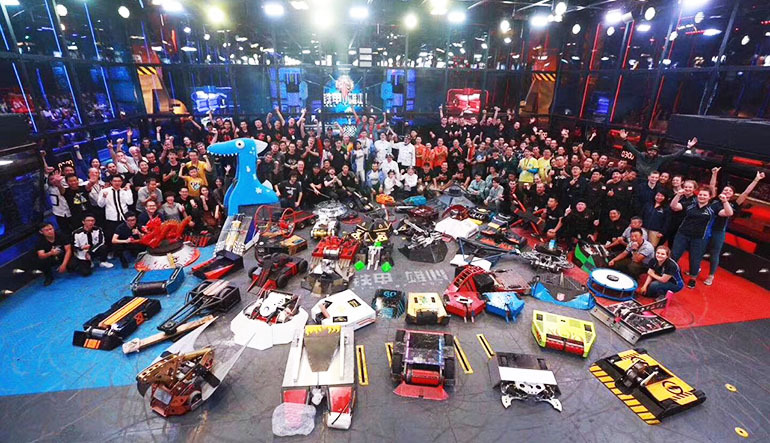 After all, we, as boys, enjoyed watching the first seasons on TV back in the late 90s, and now this childhood dream came true, we fought on equal terms with the mastodons of games, the teams that have been taking part in battles for 20 years already. 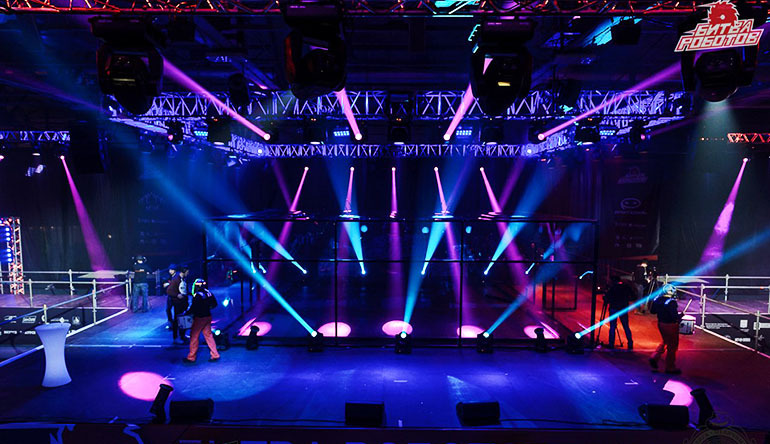 Results of games and a place taken can be only disclosed after TV series official premiere. 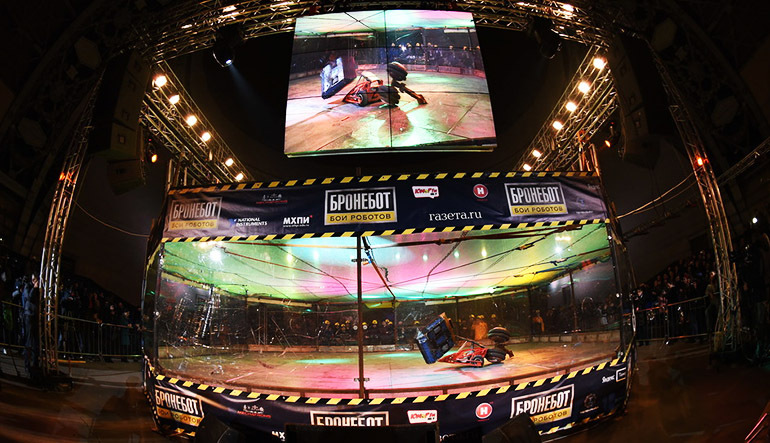 Demonstration performances, organized in the framework of the tournament Bronebot. 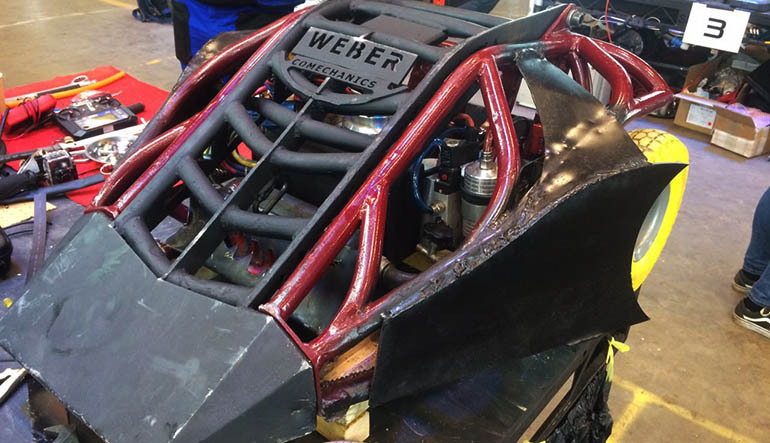 Our team participated in those battles with the two robots Weber and Rake. 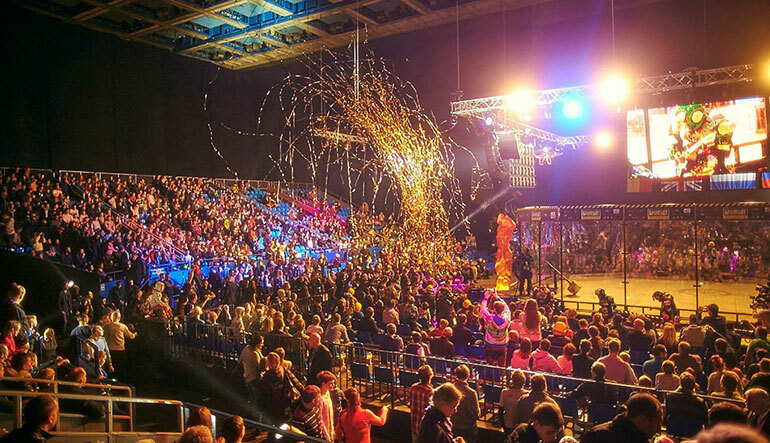 We and our colleagues from St.Petersburg and Moscow were favorites of these performances, the team was very warmly received by the audience, and we ourselves enjoyed such friendly fights. 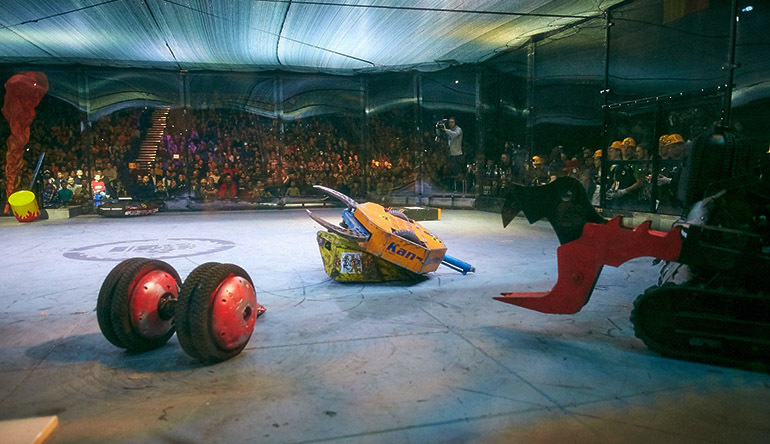 The championship, organized by the Battle of the robots league. 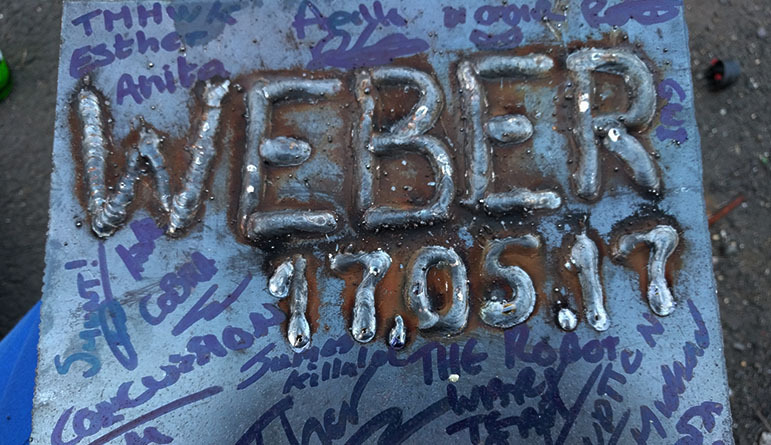 This is first time our team tested our new robot called Weber. 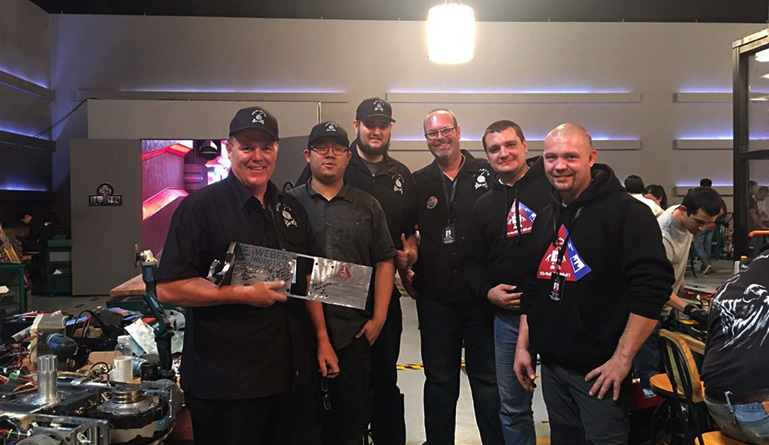 He gave us the second place in the overall standings and a lot of exciting moments, CO2 leaks and controller errors. 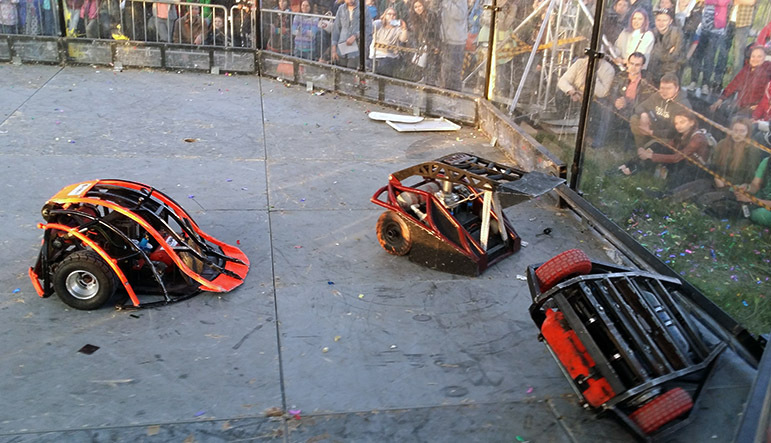 However, this was a great experience for our team, which has revealed robot weaknesses; this helped us a lot in Robotwars fights in England. 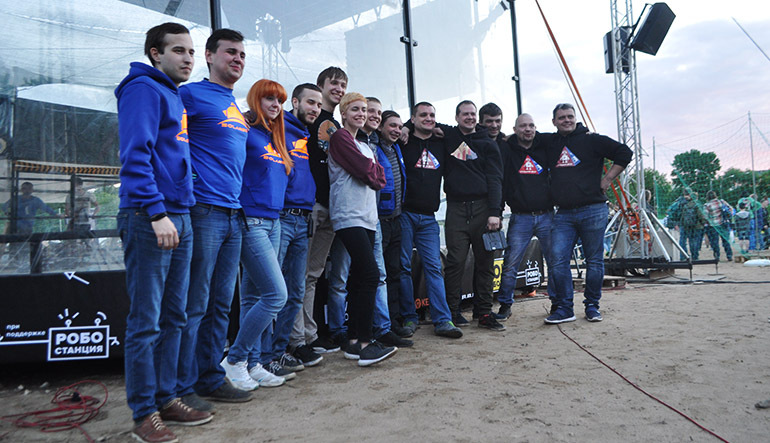 Plus during the participation in the battles in Perm we meet other teams from Moscow (Solarbot) and Saint Petersburg (Energy) who become our friends. 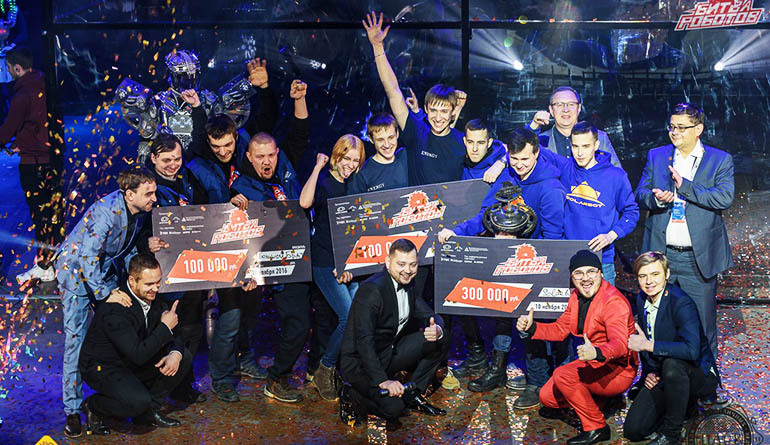 The second Russian championship, our team had two robots Rake (1 place) and Dolf 2 (3rd place) fighting there. 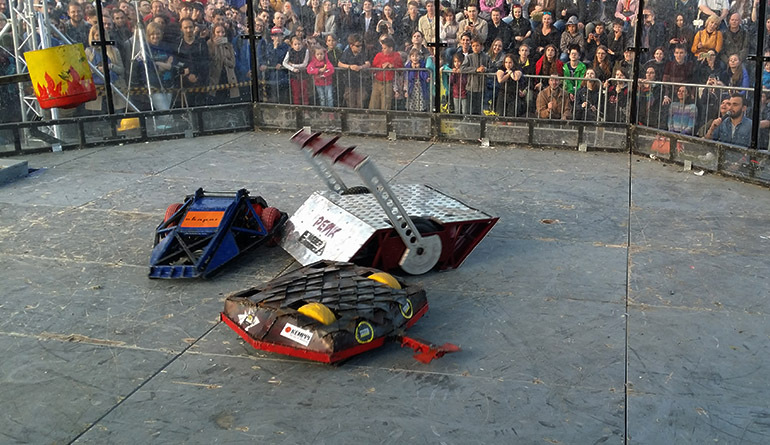 Both robots were made taking into account all the errors in the previous battles. 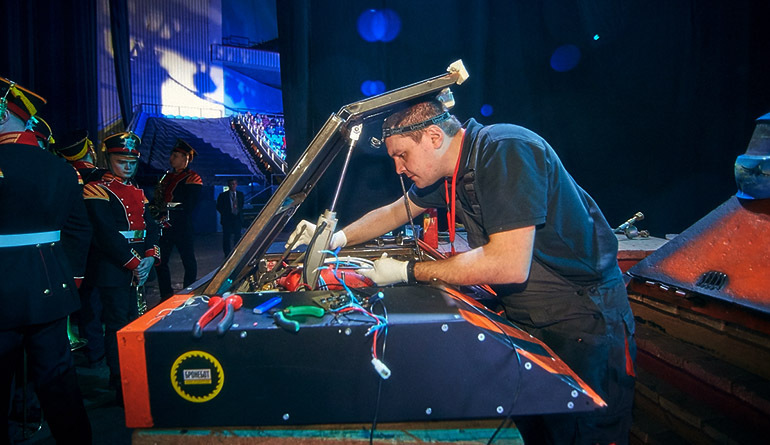 Having won prizes, our team proved once again that our technical solutions were correct. 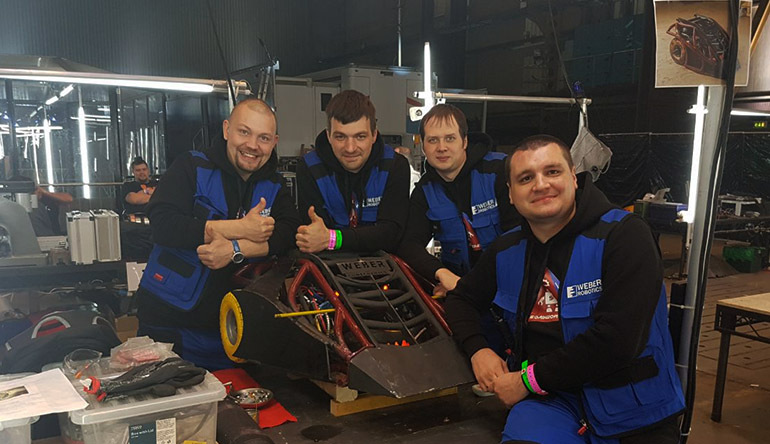 We are very grateful for all teams from England and Belgium who have shared a lot of experience with us and became our mentors. 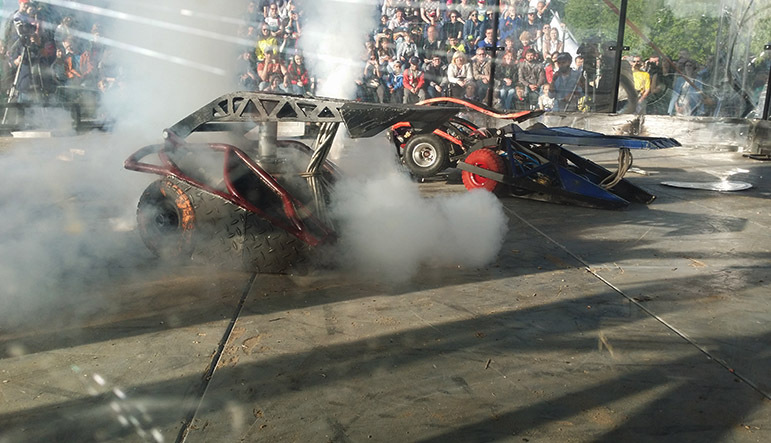 The first big battle of robots in Russia. 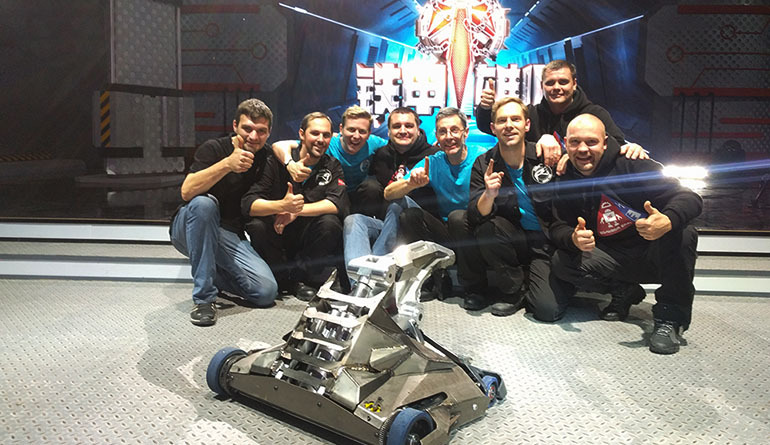 These competitions were debut for our team, and our robot Dolf, according to their results, became the best fighting robot in Russia. 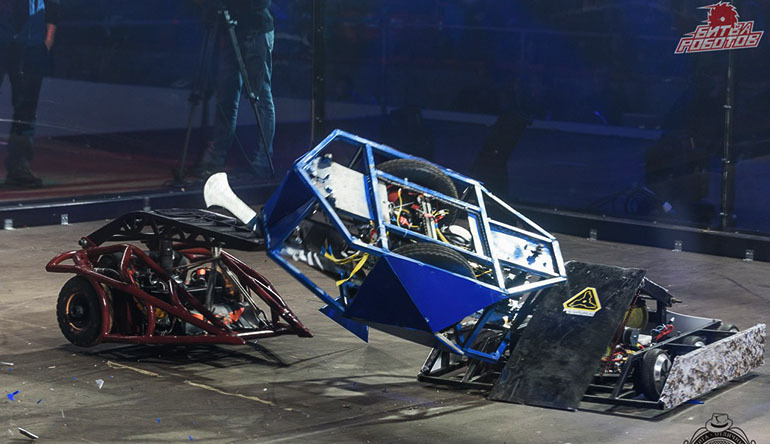 The battle helped us in many ways to understand all the design mistakes, and to gain a unique experience that we applied to new robots.